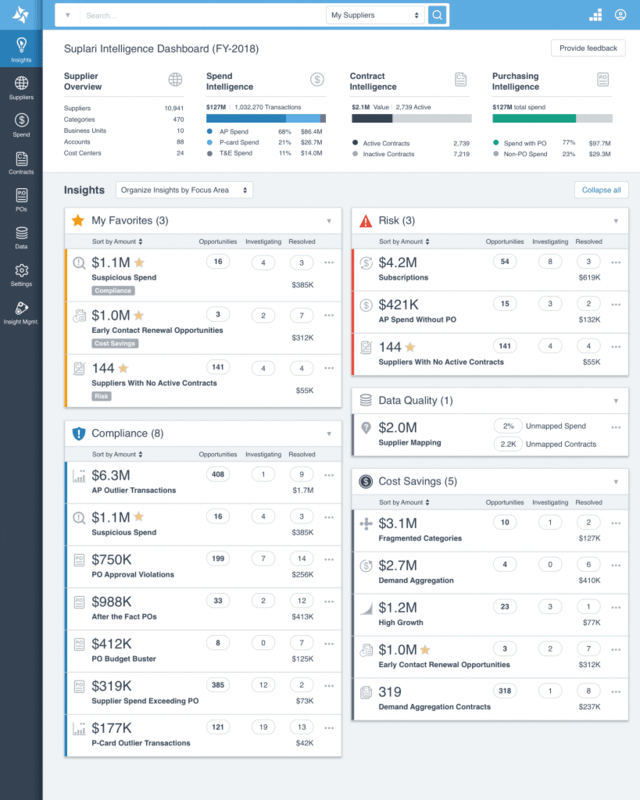 AI-Driven Custom Insights for Procurement. Create custom-built, AI-powered insights to solve your most strategic procurement and supplier challenges. Quickly build customized analytics and insights powered by the Artificial Intelligence (AI) embedded in the Suplari Intelligence Platform. Teams can quickly create detailed reports, monitor key suppliers, assess risk, and manage compliance against internal process and policy. Implementation is quick and easy, without the need for engineering, IT, or data science support. Proactively build richer insights to identify the right opportunities for your organization. Suplari AI algorithms learn and provide feedback to continuously improve on every insight. Fast and frictionless implementation and set-up. Easy-to-use builder interface and framework. Quickly create, test, and deploy new insights within minutes. 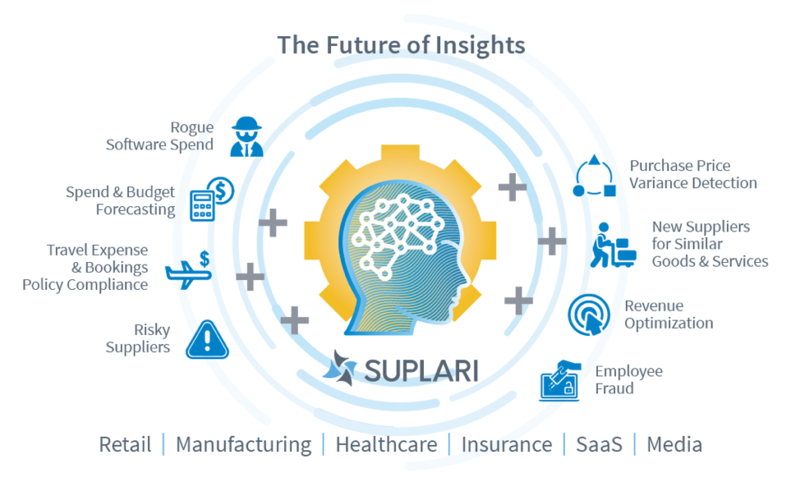 Become a Design Partner to help build Suplari Insights Generator for your enterprise. The Design Partner Program allows us to work closely with customers on specific solutions and insights that focus on your business.